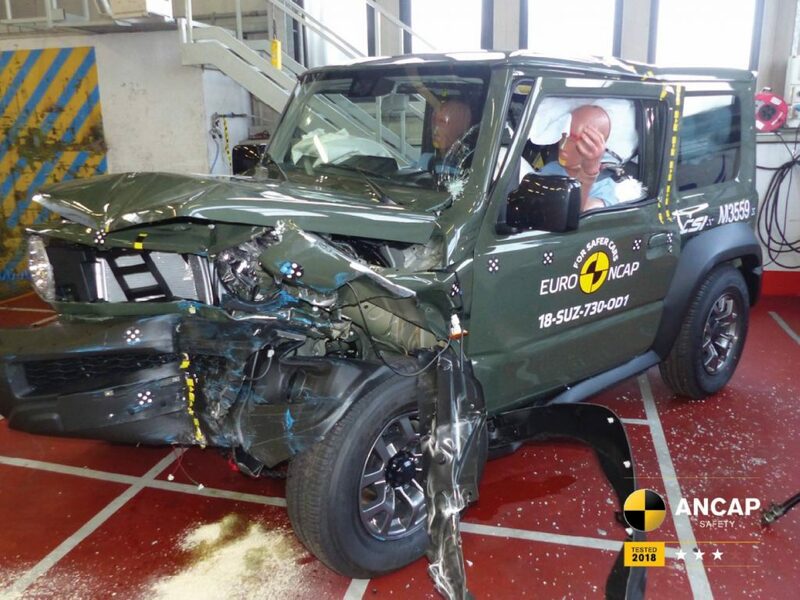 ANCAP has announced a three-star safety rating for the all new Suzuki Jimny – falling shy of the body’s expected safety standards in three of the four areas of assessment. “The Jimny misses the mark with structural and design weaknesses, poor protection of pedestrians and cyclists, and lack of effective safety aids,” said ANCAP Chief Executive, James Goodwin. Performance of the Jimny’s autonomous emergency braking (AEB) system is limited with no cyclist detection or night-time functionality. ANCAP said weak performance was observed for the Jimny’s avoidance of pedestrians, and active lane keep assistance is not available. “The results show that the fundamentals of vehicle safety are still critical, and simply fitting an AEB system is not enough to earn a good rating,” said Goodwin. The strongest area of assessment for the Jimny was Child Occupant Protection, with ANCAP saying it scored well for its ability to accommodate a range of child restraints in its two rear seats, and provide good levels of protection to children in frontal and side crash scenarios. The 3-star ANCAP safety rating applies to both GL and GLX variants sold in Australia and New Zealand.